Large Popcorn, No Butter: Dawn of the Planet of the Apes: Ok, Seriously, Why Doesn't Anyone Call Them Monkeys? Film with a sense of humor. 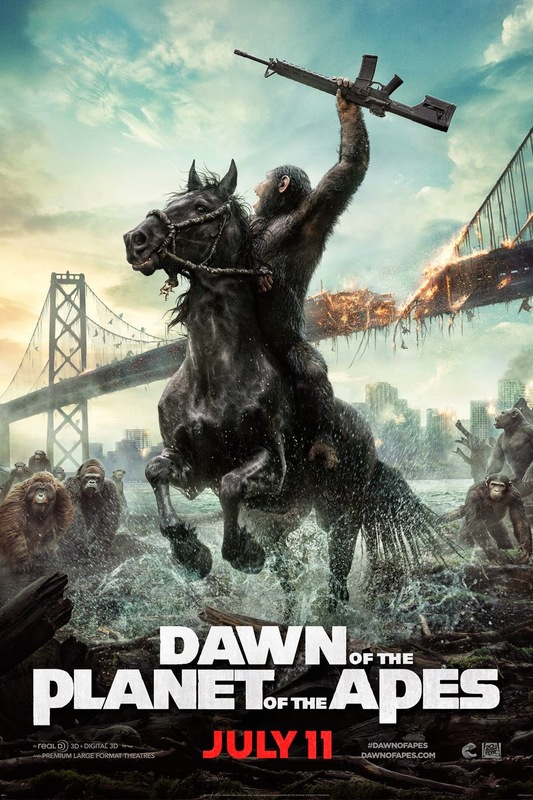 Dawn of the Planet of the Apes: Ok, Seriously, Why Doesn't Anyone Call Them Monkeys? Seriously, the word "monkey" maybe happens once. Why. Does anyone in real life ever actually use the term "ape???" So, disclaimer going into this review: I saw this movie on about 4 hours of sleep and I've been seeing nothing but action movies lately, so my opinion may be slightly skewed. However, I've got to say that I wasn't crazy impressed by anything but the aesthetic of this movie and I don't understand why everyone is stopping the presses talking about how "AMAZINGG!!? @" it is. The movie basically picks up where the first (remake) left off. Sort of. In the time following the first movie's progress there has been an outbreak of what is called "simian flu" (people getting reeeal creative with all these various 'flus' popping up all over the film industry...). As a result, the human population is a mere fraction of what it once was. By contrast, when we meet up with our ole pal Caesar (voiced by Andy Serkis, the guy who made Gollum so famous..), his ape community is thriving. They've been living in the forest for upwards of 15 years and thriving as they develop ways to communicate via sign language as well as voice, albeit primitively in the case of the latter. Their world is shaken up, however, with the arrival of a human scouting group looking for an old dam that could provide electricity to their severely diminished city community. After the arrival of the humans, old prejudices arise and threaten human survival as well as peace between the apes. Let's start with the good things about this thing: um, it's beautiful. The CGI effects are straight crazy. Straight. Crazy. Especially in the more villainous characters, who you can tell they had a grand ole time creating. PS He's not real. He was made by a computer. Just a small reminder in case you forgot. The acting isn't bad either. Nice to see Keri Russell picking up a big role again and Gary Oldman is always fun to watch. New guy Jason Clarke is...eh okay. But other than that I found this movie to be hugely predictable. From the overly-humanist (speciesist?) 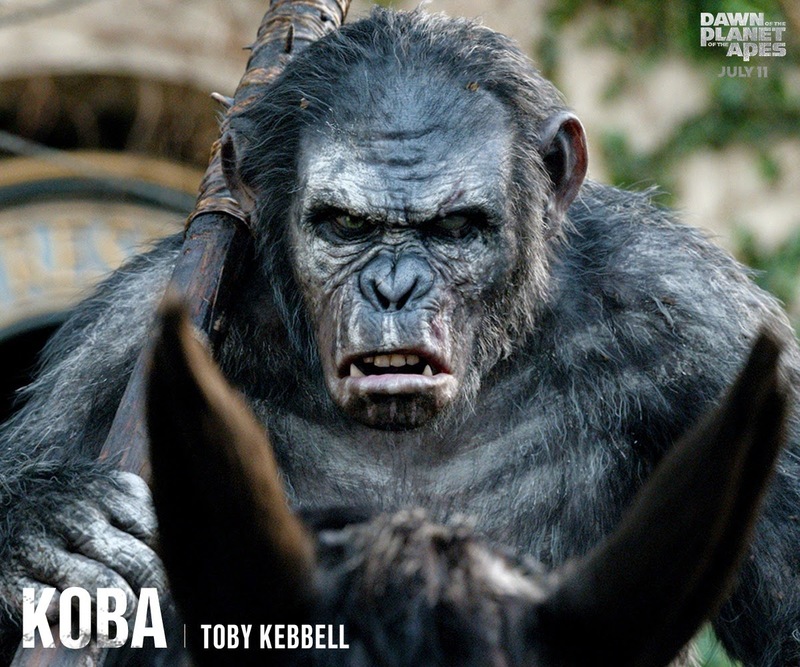 character that is all about shooting all of the apes down before they can hurt the human population to the apes that are basing all of their interactions with humans on their tortured lab days, we got nothing new under the sun here. It's a very basic "fear of the other" principle that meets its predictable conclusions at the end: wow, both humans and apes are neither wholly good nor wholly evil. I also found the usage of another pandemic in the film to be boring. From Resident Evil to I am Legend to Godzilla to Walking Dead, we've all seen the broken-down visages of cities that have experienced huge drops in population. Overrun with vines, dirty, lack of government, etc. etc... Seent it. Gimme something different. I dunno. 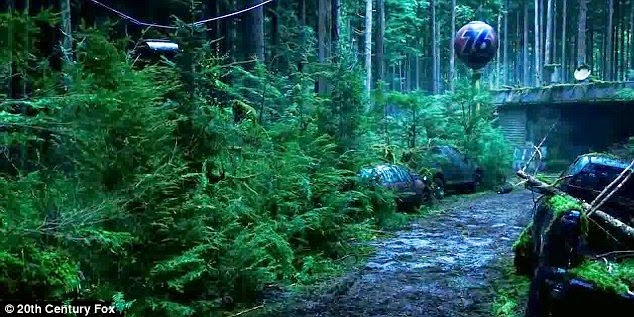 Maybe I'm jaded from watching too many action movies lately, or else I'm spoiled by having watched a bunch of futuristic dystopian movies that have been way more impressive, but I found Planet of the Apes to be a little lackluster. Thanks for upload this movie. I like it. Lucy: Because She Got High.